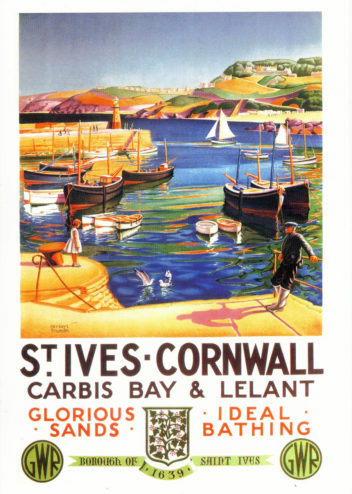 St Ives Cornwall By Herbert Truman. 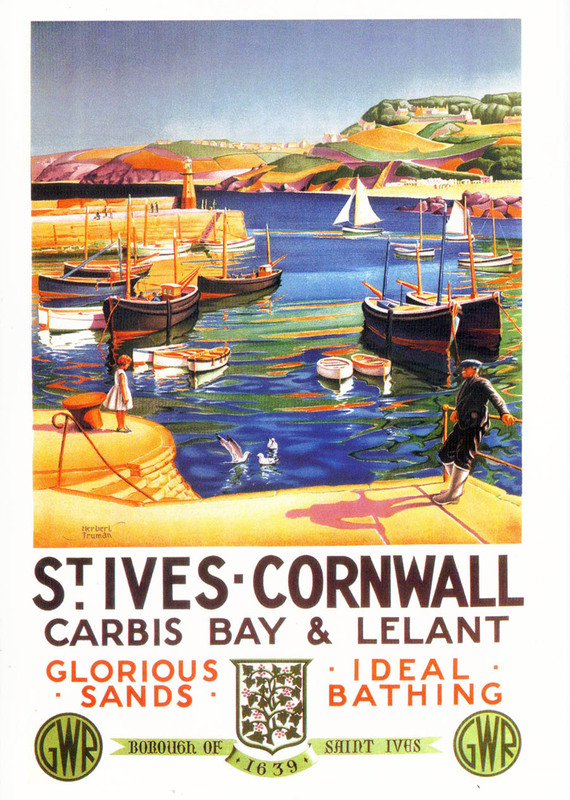 Railway Posters were commissioned and produced by railway companies to advertise and promote their services to Tourist resorts. The sun always shone,as it does now! Card size 18cm x 13cm.